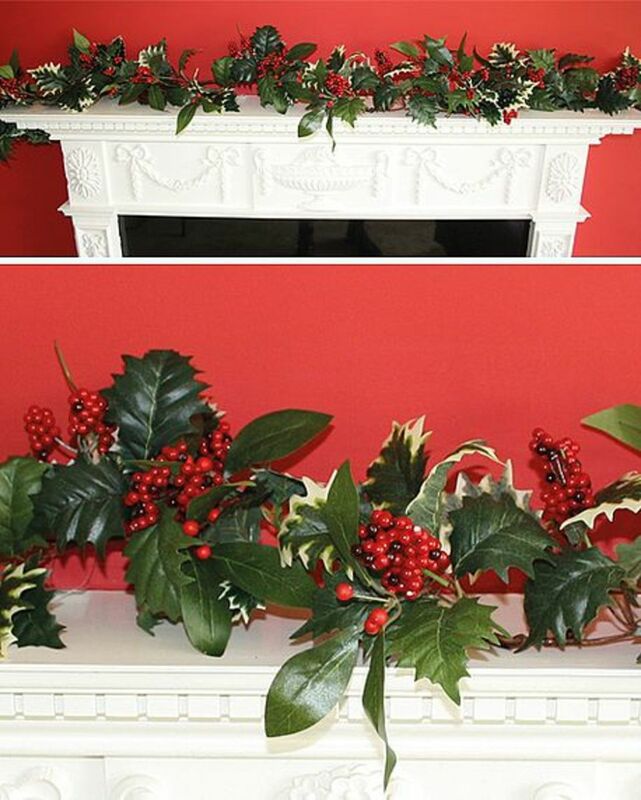 An everlasting, artificial display of pine cones, Holly leaves and Red berries. 180cm in length. Mounted on flexible wire, with hanging loop.